“Pure love. Wrapped in a fur coat.” January 2006 - July 6th, 2018. American sport does narrative really, really well. And baseball has a fixed reference point that is unlike any other sport in the world, whose definitions of success change over the years. After all, the Super Bowl has only been around since the 60s and in England, the Football League has been replaced by the Premiership. The World Series, however, dates back to 1903. In any sport, for a team to have a 100+ year history is incredibly rare. And for that team to have tried and failed to achieve its unchanging goal for more than a century, is probably unique. I have been a Cubs fan since 1982, when my college girlfriend's father - Andrew Andrews - introduced me to baseball, the Chicago Cubs and Leinenkugel all in one day. Andrew was there last night, in spirit, as was his wife Dorothy. So too were the thousands of people memorialized on the walls of Wrigley Field over the last few days by their loved ones - grand parents and parents and siblings and husbands and wives and children and best friends and neighbors and fathers and mothers of girlfriends and boyfriends - all of whom had left us before we could share this with them. One man drove 600 miles to share last night with his father, keeping a promise they had made to each other if the Cubs ever got to the World Series. When he arrived, he took his radio and listened to the game, sitting beside his father’s grave. The Cubs are a metaphor for so many aspects of life. But in the final analysis, they are the ultimate human story of perseverance against the odds. The drama of last night surpassed any fiction. The great plays, the terrible plays. The heroism, the stupidity. The confidence, the fear. And the grin that swept across Kris Bryant's face as he scooped up the ground ball that would win the World Series and fired it across 108 years of history and into the mitt of a lifelong memory. The sudden rain storm that came out of nowhere at exactly the right moment, giving the Cubs a chance to regroup when it looked like they had thrown away a certain win and we had started to believe this was our destiny, as well as theirs. And then their ability to prove that, finally, they were the team we had always hoped they would be but had always feared they could never be - a team that could overcome everything anyone could throw at them. A team that could rally again and again and again until, with one last heroic effort, they carried not only themselves across the Rubicon, but us with them. There was a moment last night when I wanted to accept that we were going to lose. That the momentum had turned and that we could do nothing to stop it. That somewhere, in some existence, we had already lost. And then I decided, sitting alone with just Ally for company, that tonight would not be that night. That the outcome was not settled. That hope was still possible. In that moment, I posted this on my Facebook page. "You gotta believe. No doubts, people. Just pour positive energy their way. They got this. #flytheW"
34 minutes later, the Cubs were World Series Champions. I don’t know that the two are connected. I don’t know they are not. I do know that hope trumps fear. I do know that love trumps hate. I believe Hillary will win next week. Just pour positive energy her way. "Capital is Being Superseded by Creativity and the Ability to Innovate." In today’s ‘Creative Economy’, businesses have two choices. Disrupt. Or be disrupted. There is no middle ground. Which explains why at the center of every successful company sits a relentlessly creative heart. But, it’s not enough to simply amass creative thinking as a core competency. Your company must be able to turn that thinking into solutions. Solutions that generate economic value, at scale and over time. Exceptional companies do this every day. They unlock what I describe as, ‘Profitable Creativity’ - the ability to apply creative thinking to drive better results. For these companies, the result is a limitless supply of innovative products and services that satisfy and often lead customer needs. In my work as an advisor and coach to some of the world’s most innovative businesses I’ve recognized that, whether by design or instinct, companies that produce ‘Profitable Creativity‘ are built on an identical set of organizing principles. Together, they effectively act as an organizational operating system. I call this operating system F.O.R.M. Fully implemented, it makes ‘Profitable Creativity’ as reliable as electricity. I’ve studied these principles at work at over at 50 companies, and developed F.O.R.M. as a comprehensive diagnostic. It’s presented here as an actionable process you can quickly perform yourself. The four principles of F.O.R.M. are connected to each other in a specific sequence. Once operational, the system continuously encourages the organization to challenge its own beliefs and behaviors to ensure its enduring relevance. Focus: Where are we going? Why do we exist? What is our vision? Who will care? Organization: How should we organize? Does our structure support our vision? Do we engender collaboration? Are we moving at the right speed? 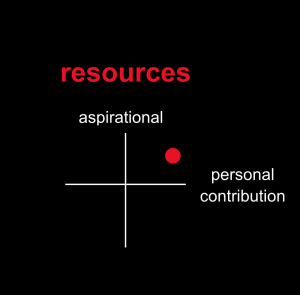 Resources: Who are the right people? Are we attracting and retaining them? Do we partner with the right companies? Are we developing modern leaders? Measurements: What are we doing and why are we doing it? Are we meeting our goals? Are we becoming more or less relevant? Creativity is both an art and a science - a blend of instinct and mechanics. The four principles of F.O.R.M., therefore, are each built on two metrics - one emotional, one practical. 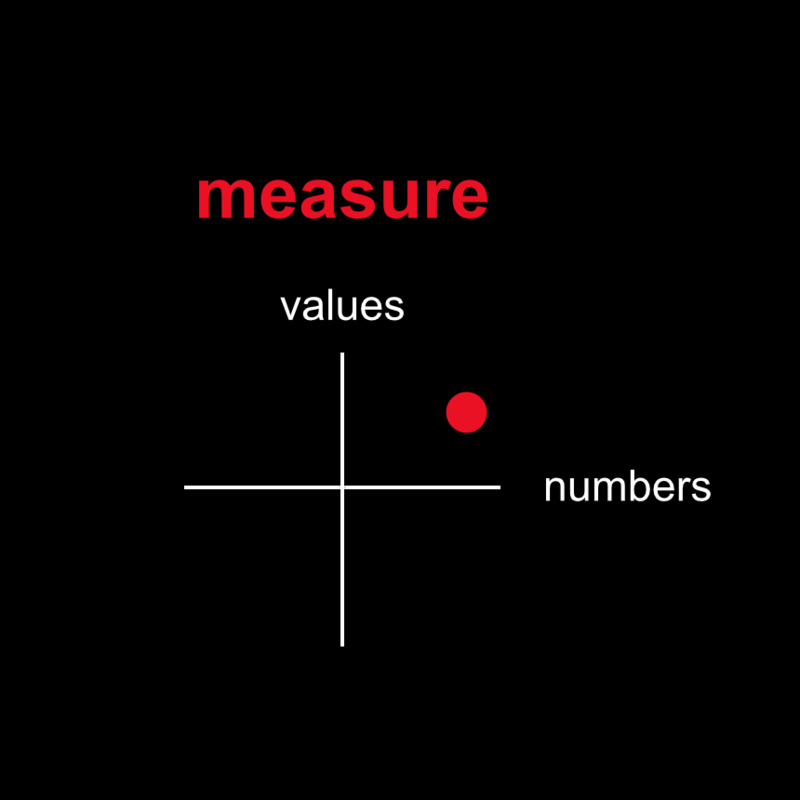 These eight sets of metrics determine an organization’s F.O.R.M. Score. Here, we have simplified each metric into a single question. Answer all eight honestly, and you’ll immediately start to identify where you need to prioritize your organization’s energy. We’ve applied these measurements to over 50 companies. The results are consistent. And, in those cases where we can compare financial data, generate more revenue at higher margins on a per person basis. Based on their F.O.R.M. scores, companies fall into five distinct groupings. The surest way to tell whether your business has a meaningful Why is to develop a ‘company obituary.’ If your business disappeared tomorrow, who would care? What would they say? If you can articulate, clearly and simply, why your company exists and why it matters to customers, its death will cause wailing and rending of garments. Otherwise, your obituary will be a footnote on an industry trade blog. Elon Musk, the founder of Tesla and Spacex, said, “I don't create companies for the sake of creating companies, but to get things done.” His willingness to challenge his organizations with big and important problems attracts talent and tenacity in equal measure. Both are fundamental requirements for sustainable Profitable Creativity. Key InspirationTest: Get your senior team together and write your own company obituary. Then decide who, other than your staff, would mourn its loss a week from now? If the honest answer is almost no one, you need to redefine your company’s Purpose. Inspiration is a limited resource. After the initial noise dies down, if your company isn’t producing positive change in people’s lives, they will vacate their seats and find someone else to follow. If you do, they’ll stay to see what’s next. Change sets the innovation bar higher and raises standards for everyone. It also forces you to constantly recheck your own Why. Far better that you decide how you will disrupt your own future before someone else disrupts yours. Google’s Mission is, “to organize all the world’s data and make it useful.” Google Maps is just one example of that Mission producing changes in both behavior and expectations for customers and staff alike. Key Change Test: Other than your employees, list all of the ways your company has improved people’s lives in the last year. These need not be world changing. But they need to be genuine. Profitable Creativity depends not on moments of individual brilliance, but on your ability to create an environment in which brilliant people can willingly and enthusiastically collaborate. 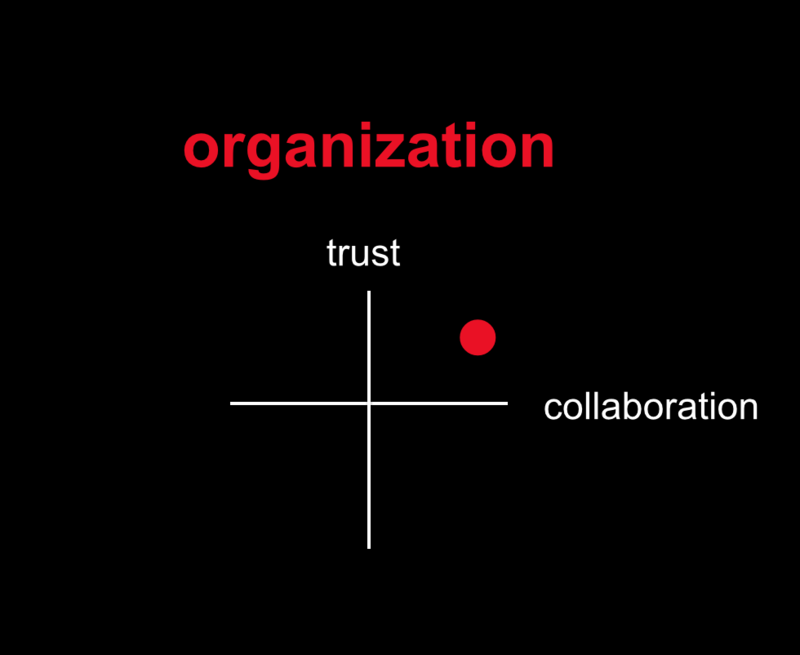 Trust, according to Dana Anderson, the CMO of Mondelez, is the foundation on which collaboration is built. Trust is dramatically deepened when leaders commit to an ‘idea democracy‘ - an environment in which every idea is owned by everyone. This encourages thoughts to be shared quickly, debated openly and accepted or discarded regardless of their creator’s rank or title. 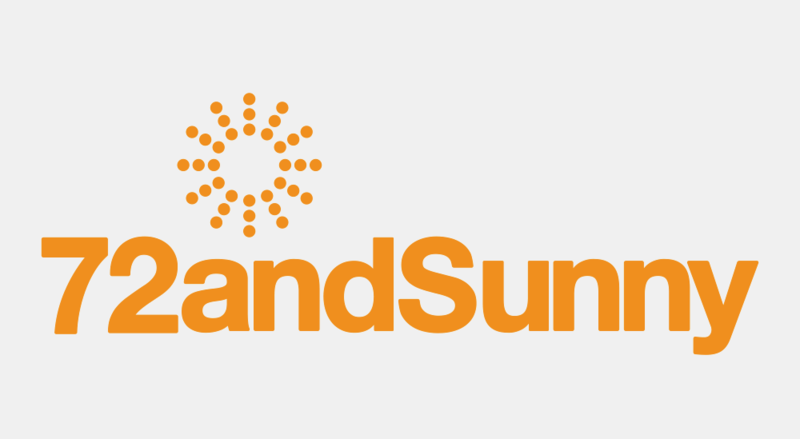 72andSunny, one of Fast Company’s most Innovative Companies in 2015, is rigorous in its commitment to an idea democracy. In any brainstorm, once an idea is offered, it will be enthusiastically and openly discussed and debated. But at no point thereafter will you hear any reference to its originator. Rather than making its staff protective of their thinking, the practice promotes trust in the process and each other. The result is an increase in the volume of ideas and freedom in the debate that follows. Key Trust Test: Who would oppose an idea democracy in your organization? Creativity that is as reliable as electricity is built not on the inspiration of one or two exceptionally talented individuals, but on the minds of many. Today, disruptive businesses combine the skills of multiple disciplines in real time. Technology, entertainment, media and communications, fashion - all require organizations that combine diverse talents to produce valuable innovations. Zappos is one of the first companies in the world to redesign its organization around a new management practice called ‘Holocracy’ - a philosophy that takes advantage of the ability of human beings to recognize inefficiency and system errors, by placing them within an organizational structure that allows them to take responsibility for fixing them. In a traditional bureaucracy, layers of management create a virtually impassable maze for suggestions to make it from the bottom to the top. A ‘Holocracy’ takes “just-in-time” management and extends it both vertically and horizontally across the entire organization. Key Collaboration Tests: Do your management practices give power to groups or individuals? Do your management systems openly share real-time information from all areas of the organization, so that individual pieces of data become institutional knowledge? Given the volatility of today’s disruptive industries, companies that produce Profitable Creativity need to attract and integrate a wider range of skilled practitioners then ever before, and do so in a highly competitive environment. Success depends on two criteria. Whether appealing to talent inside or outside your company, you must satisfy the needs of two rapidly growing talent pools. Gen Y and Gen Z. These are groups who want to make one thing more than any other - a difference. If the next position you can offer them on their career path isn’t important - or worse, isn’t interesting - your schedule will rapidly fill with exit interviews. Warby Parker, the revolutionary eyewear company, routinely hires Ivy League graduates to staff their call center who turn down more lucrative entry-level jobs to answer phones. Because the business emphasizes sophisticated customer service that demands staff that can think on their feet, candidates are drawn to the immediate impact of the role. The organization is also quick to promote out of these positions, creating both a pathway and a narrative with which to attract others. Key Aspiration Test: Which jobs inside your organization would you personally not do? What can you change to turn that into an empty list? There is little point designing a dynamic, multi-disciplinary structure filled with exceptionally talented people if your management team then insist on micro-managing their behavior. If you’re clear about your business’s focus and the problems you’re trying to solve for your customers, you shine a spotlight on the paths to success. This lets managers point rather than lead, which unleashes both original thought and speed of action. “Responsible people thrive on freedom and are worthy of freedom. Our model is to increase employee freedom as we grow rather than limit it.” Reed Hastings, founder of Netflix. Key Personal Contribution Tests: What decisions would you fire someone for making without leadership approval? How can you cut that list in half? To unlock Profitable Creativity you have to have real-time access to the financial numbers, and someone who can tell you the story behind them. But, when companies ignore the human criteria that affect performance, they place profit over people. In a talent driven business, the only disruption that causes is to your longevity. A lot of companies talk about values, but few embed them into the organization’s day to day behavior. This half-hearted approach creates inconsistent decision-making, particularly under times of duress. Talented people want to know the rules of the journey, and they want to see everyone playing by them. Embedded values provide the discipline. Take that fabric away and you reduce trust, confidence and engagement - all pre-requisites for Profitable Creativity. Aravind Melligeri, CEO of Aequs, a highly innovative aerospace manufacturing business, recently made part of his senior management team’s compensation dependent on strengthening their employees’ commitment to the company’s values. Aequs now benchmarks internal values every 6 months and runs internal workshops to bring each value to life. Key Values Test: Ask six people to send you a list of the company’s values. Are they the same? Companies need to measure progress across multiple criteria, because the obvious ones - revenue and margin - are a consequence of other stories. For instance, for any company dependent on creative thinking, high employee engagement is crucial. Once you’ve determined your key metrics, build a management dashboard that provides these numbers in real-time. In a world moving at social speed, if you’re still moving at enterprise speed you’re going to be the disrupted, not the disruptor. Andrew Benett, Global CEO of Havas Creative Group, has implemented an employee engagement metric and tied it to senior executives’ bonuses. Each executive must create a five-point increase in employee engagement within their team over 12 months to receive a bonus. If, as in Havas’ case, 75 percent of your costs are in talent, putting a number to their level of engagement in your business is a direct path to Profitable Creativity. Key Numbers Test: Which three metrics are most critical to improving your revenue and profitability? How many people in your organization agree with you? In any successful company, you will find some of the organizing principles of F.O.R.M.. But only exceptional businesses exhibit them all. Institutionalizing all four unleashes Profitable Creativity and turns any business from disrupted into disruptor. None require capital. Only imagination and determination. Essential characteristics for any modern leader. I came across this quote recently and it resonated so powerfully that I put it on our website. And though it can be debated whether money or ideas come first in the hierarchy of building blocks on which businesses are built, there is no longer any question that you must have both in order to create sustainable competitive advantage. Because today, there are only two business realities. Today, exceptional companies have to do more than simply meet a known need. They have to be capable of seeing the world differently. If you look at the companies on the list of the world’s most valuable brands you’ll see an interesting trend. Only three - Coca-Cola, McDonald’s and Wal-Mart - exist to satisfy the bottom layer of Maslow’s hierarchy of needs: food; water; warmth and rest. In other words, we’ve moved a long way past worrying about the present. Today, our energy and our money is drawn towards companies that are focused on redefining the future, rather than satisfying basic human needs. Indeed, of the top 20 most valuable brands, nine are defined as ‘technology’ businesses, four are automotive (an industry at the epicenter of technological disruption), and two - GE and AT&T - are full-time residents of the innovation school of growth. When where we’re going is more compelling than where we are, then the ability to innovate becomes not just a valuable business capability but a prerequisite to success. And creativity - thefuel that drives innovation - becomes an essential resource. In this environment, companies must do two things to succeed. Find a supply of creativity that is as reliable as electricity. And then apply it to solving problems that have value to today’s consumers. They also produce less bureaucracy and more empowerment; fewer rules and more exploration. They collaborate at their core, ideate and iterate rapidly and possess a greater tolerance for risk. They are built, not by accident, but by design. And they fill the conversations of consumers who care less about a company’s how and how much and much more about its why. Companies like Apple, Netflix, Warby-Parker, Uber, Starbucks, Pixar, 72andSunny and Refinery29. They are built and run by leaders who are more interested in disrupting than being disrupted. Leaders who relentlessly seek new sources of creativity, new practices that unlock it, and new ways to apply it to solving problems that have value. These are the companies of the Creative Economy. We’re going to spend time over the next few months writing about how to recognize these busineses, what makes them tick, and how you can apply their lessons to your business. Original articles will first appear at Fast Company, and then reposted here, supplemented from time to time with additional thoughts and analysis. I’m going to be joined in this by the well-known ethnographer, Sudhir Venkatesh. Together, we’ll be exploring the dynamics that determine what makes these companies and their leaders disruptive and successful. We hope you’ll join us and give us your thoughts and insights as we take this journey. This article first appeard in Fast Company. Unlocking creativity as a fuel source for any business is a holistic endeavor that requires the skill of a chemist. Balancing and re-balancing the demands of running a successful and reliable enterprise against the need to explore the unknown is no longer a matter of predictable process. Today, successfully managing a company in a disruptive industry is dependent upon the leader’s ability to tap into the natural energy sources that flow within most organizations. In my work as a coach and confidant to leaders of some of the world’s most creative companies, I have identified the five forces that power the very best. These are the forces that produce "Profitable Creativity." The best companies are attracting talent faster than they are losing it. Given that some of their competitors have a retention rate of less than 60%, this creates immediate competitive advantage. A recent article by the Management Innovation eXchange reports that today’s workforce has never been more mobile (35% prefer to be self-employed), fluid (those entering the workforce today are expected to have 10 career changes before the age of 40) or disinterested (87% of workers worldwide say they are disengaged at work). In this environment, a company can not hope to tie its best thinkers in place for 20 years. It must attract and retain talent gravitationally. Gravity is present within every business at startup. It is the force that draws together enthusiasm, determination, and the ability to solve new problems with original thought. Over time, that energy dissipates and many companies are left in a state of weightlessness, searching for relevance and focus. This provides you with focus and a definition of the problem your company is in business to solve. Talented people want to make one thing above all else. A difference. And companies like Google are winning the talent wars because they offer the opportunity to do so. "Organizing the world's information and making it universally accessible," is not just a website mission statement. It is a gravitational imperative for tens of thousand of people. What’s yours? Gravity is a fickle force. One day you feel safely anchored to a rock-like set of beliefs. The next, you are floating in space, wondering what happened to yesterday’s truths. A busy company is not necessarily a successful or a sustainable business. And being clear about whether your point-of-differentiation is still different, is crucial to maintaining gravity. Vince Barabba, describes three company types in his book The Decision Loom. In my experience, companies in the first group are in the commodity business. And gravity is at its weakest in that environment. The leader’s job is to constantly be looking for ways to move higher in the gravitational food chain. This requires a Willingness to Thrill Your Customers. As Henry Ford once said, "If I had asked my customers what they wanted, they would have said a faster horse." His willingness to look beyond his customers’ wants to their needs created decades-long gravity. Many organizations wisely shy away from "paralysis by analysis." But even more avoid healthy debate in exchange for easy answers. Unlocking original thought requires a willingness to let originality emerge from the shadows. In every case the first proposition is immediately tempting—which doesn’t automatically make it wrong. The best answer in each debate is driven by context, specifically the question: :where are we headed." But there is never a black and white choice, and relentless willingness to embrace the tension of opposing views is necessary to ensure that what you’re getting is the best, not the quietest or easiest, solution. Tension is the partner of consequence. And when the result of an opportunity or investment is less than expected, the cause is usually a failure to explore the other possibilities in the planning stage with enough determination. Creating healthy tension requires Starting With Clear Definitions of Success. This ensures that attention is placed on improving outcome, not leaning on philosophically-driven answers. The result is a greater collective willingness to engage the debate. Warby Parker, the extraordinary eyewear company, pays close attention to its Net Promoter Score—a measurement of customer satisfaction. This focus on the consequence of each decision encourages debate and avoids easy answers that can be quickly rendered irrelevant by a rapidly changing marketplace—or world. Tension requires seeing that there are at least two sides to every story - a trait that traditional leadership struggles to embrace. Confident leaders push for the opposing point of view secure in the knowledge that being wrong is not a mark of weakness but a sign of strength. At an organizational level this is amplified in an environment in which "Idea Ownership" is Replaced by "Idea Improvement." At agency 72andSunny, ideas of any kind become the immediate property of the group engaged in solving a problem. The result is that every suggestion can be debated rigorously without offending sensibilities or feelings. This encourages all possibilities onto the table, and focuses the tension on the outcome not the origin. One of the characteristics that sets apart exceptionally creative companies is the ability to rapidly take an idea from inspiration to fully formed expression. They keep each part of the organization simmering, their people engaged and focused. The result is that it doesn’t take long to bring ideas to the boil. Heat is also an essential but potentially dangerous change agent. Turn it up quickly and the consequences can be catastrophic. Apply it slowly and its impact is barely noticed until it has created the pliability you’re looking for. Exceptional leaders use it judiciously, knowing that a little goes a long way. Heat is at its most effective when applied consistently. This condition is naturally created when the organization has defined standards. This creates two sources of heat. Top-down and middle out. Top-down heat is management directed and has been applied by businesses since the Industrial Age. But, the creative economy that we are now entering requires different management approaches to unlock the potential of today’s talent. The millennial generation is less impressed by bureaucratic power than any group of talent that has come before. Instead, they are more influenced by the expectations of their peers. If you want to apply heat that raises both expectations and performance, you must do it through standards that are inherently built into the entire organization. The presumed authority that comes with a title is no longer enough to get the operating temperature where you need it to be for sustained, exceptional performance. Netflix defines nine behaviors and skills the company values most. Each has at least four separate measurements. They make hiring and compensation decisions based on how well you meet those standards. "Adequate performance gets a generous severance package." Which removes the emotional resistance many managers have to letting people go. In a company striving for excellence, nothing turns down the heat like a willingness to tolerate average. One of the most valuable sources of energy is the internal heat that comes from your staff. If you can unlock their passion it is a powerful source of renewable energy. Talented people want to contribute. To make a difference. They want to know they have a chance to do something important. Tapping into this requires encouraging trial and error. 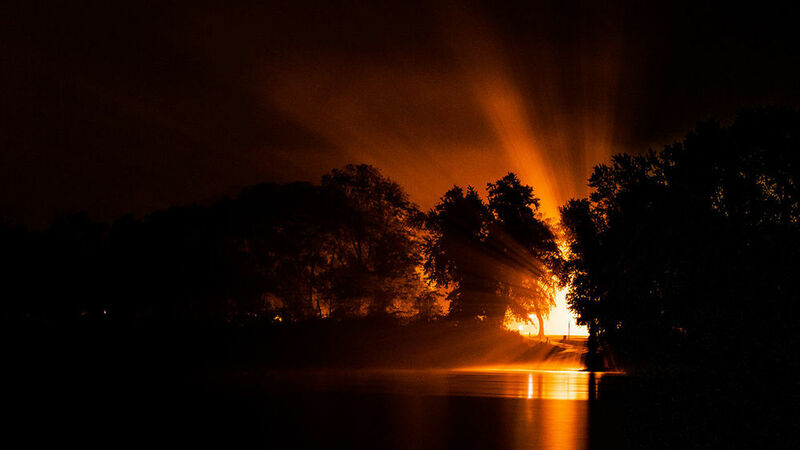 In large, risk adverse organizations, the most effective technique to keep heat simmering is the use of pilot programs. Small explorations staffed by one to four people with a passion for making something new happen. Exceptional leaders look for opportunities to start these on a regular basis. If they succeed, add resources. If they don’t, you will almost certainly have learned something valuable, and your staff will be hungry for more. Elon Musk made a billion dollars creating PayPal. Then spent it all trying to get Tesla off the ground before he succeeded, with the help of government funds. Now he’s out to commercialize space with SpaceX. In the Creative Economy, the willingness to literally reach for the stars attracts both talent and investment—two powerful sources of heat. Speed and time are inextricably linked. Which make speed the lever of creativity’s most important metric—the opportunity cost of the time spent to solve a chosen problem. Working faster means learning more. In a creativity-driven business, that is extraordinarily valuable compensation. Exceptionally creative businesses use time more effectively. They move no slower than entrepreneurial speed, and in some cases at social speed. When your competitors can do no better than enterprise speed, the result is greater impact of your people and sustained advantage for your company. Bureaucratic organizations are constructed with built-in inhibitors. The most obvious are those that require multiple check-points for daily processes. One company we came across required twelve people to approve a request to work with a new vendor. This included a multi-layered requisition form, completed in triplicate. The key to increasing speed is Removing Bureaucracy from creative thinkers. This is not the same as removing rules. It does require leaders walk through a process to ensure that it satisfies common sense rules of working. If they find they would be annoyed by it, they should fix it or remove it. One hour spent by a leader in improving process does two things. Engenders respect—from employees and vendors alike. And returns a multi-thousand-fold investment in saved manpower and increased speed. The consequence of which is exploration over hesitation. A prerequisite to unlocking creativity. Entrepreneurial energy is a natural and renewable resource, ruthlessly squandered by most companies. Unlocked and directed, it produces dramatic increases in the speed with which a company responds and evolves. Inhibit—or worse, ignore—entrepreneurial intent and you will be faced with a groundswell of frustration and resentment. Unlocking entrepreneurial energy requires A Commitment to Other People’s Ideas, and their right to share in the benefit. That is as much an emotional commitment as a financial or practical one—the ROI of which is almost limitless. Lori Senecal of KBS+ has moved her company from one focused on innovation to one that delivers invention. 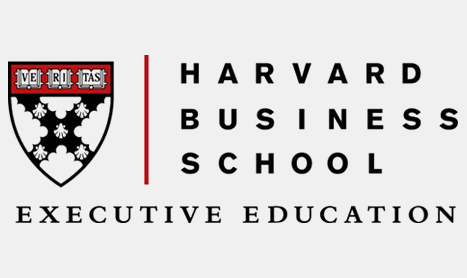 To do so, she and her leadership team have worked to unlock entrepreneurial energy at every step of the organization, investing in capabilities that allows staff to turn ideas into prototypes, and to benefit economically if the idea has commercial value. Her stated goal is to have her staff make her obsolete—which should be the definition of success for any entrepreneur. Creativity requires risk. That we might fail. Or be wrong. It also requires we explore the unknown. Overcoming these personal hurdles and making these dimly lit journeys are infinitely easier when we feel supported along the way by people and organizations we trust. There is a straight-line link between generosity and trust. Act in someone else’s best interest, without regard for your personal situation, and they will trust you for life. This is a high ideal. But it creates extraordinary fuel for creative thinking. And has two other benefits. It is entirely within your control to provide. And costs nothing. Dana Anderson of Mondelez recently asked an industry audience to "give until it hurts, so that we spur creativity in the people around us." She cited the example of George Meyer—one of the writers of The Simpsons—who routinely wrote jokes for episodes without attribution and asked for the hardest assignments so that his co-writers could flourish. His personal motto 'Show up, work hard, be kind and take the high road.' The writing team he created has been described as one of the finest the industry has seen. Generosity requires courage because it demands that The Leader Must Take the First Step. And that step has all the risk, the most immediate of which is looking foolish. Putting ego and fear aside is a distinguishing feature of contemporary leadership, and is at the heart of instilling generosity. The old adage says that, "a rising tide lifts all boats." Most companies accept that as true, then focus on their boat. Generous companies focus on the tide. Elon Musk recently announced he has decided to release a number of the patents Tesla hold on their electric car technology in order to allow competitors to enter the industry and spur more rapid innovation. "We don't want to cut a path through the jungle and then lay a bunch of land mines behind us." As a practical definition, generosity means putting the needs of the organization first by making brave and sometimes personally uncomfortable decisions: a willingness to have honest conversations, including the most difficult ones: letting people go that are struggling before you know how to replace them (a service to both them and the organization); hiring people more talented than you; taking on the difficult client personally and refusing to take credit. Each of these makes life better for others and raises their ability to exceed their own expectations. Without generosity, we are left with a zero-sum environment in which there must always be winners and losers. Susan Credle of Leo Burnett describes this as a "Culture of Scarcity." In its place, Susan advocates a Culture of Abundance—a definition that looks first to create the best outcome possible for the other party instead of protecting our own status quo. Gravity. Tension. Heat. Speed. Generosity. Five powerful (and functionally free) sources of fuel for the leader of any company intent on increasing its capacity for creative thinking. Last Saturday night, we felt the wind change. Out of nowhere and from nothing our beautiful and loving and joyful Maude suddenly left us. In her wake is a cyclone of anguish and helplessness. The wind that brought her to us nine years ago blew up from the south. Hurricane Katrina. Amidst its mayhem and destruction, it swept up a terrified three month old puppy in Louisiana and dropped her into the PAWS clinic on the south side of Chicago. Which is where we met her. Huddled and catatonically afraid in a small crate, surrounded by the organized chaos of 300 other animals that were being rescued by PAWS that late summer from the devastation around New Orleans. We had sold our business three months earlier and spent the final days of August watching in horror as civilization collapsed in real time on live television. Finding PAWS gave us a way to help and started a relationship that endures to this day. 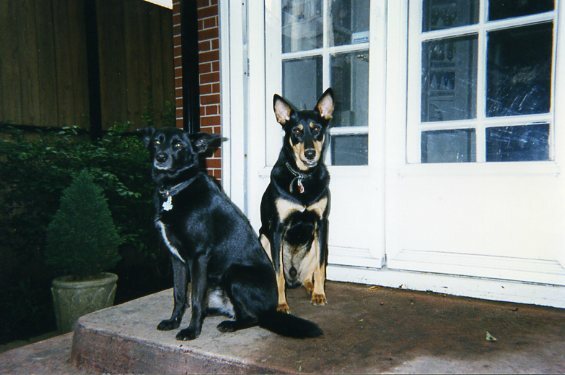 Over time, it was a relationship that has also given us two other dogs, Fred and Summer. But those are stories for years from now - if I have anything to do with it. Maude stole our hearts in that first moment, and never gave them back. When she left us, much too soon, on Saturday night she took part of them with her forever. In truth, Maude never fully recovered from the hurricane. Found wandering the streets around New Orleans in the aftermath of Katrina, the efforts to trap her scarred her for life. Until the last of her days, the arrival of a stranger sent her into a panic, a fear hard-wired so deeply that only a handful of people made it all the way through her defenses. To gain her trust gave you access to the unbridled joy that defined her when she felt safe. She didn’t run to you, she bounced. She didn’t wag her tail, she thumped it, the sound loud enough to fill a home. And whenever we returned, whether after an hour or a week, her greeting was the same; a clamor for attention then a leap onto the nearest dog bed with a bone while her tail drummed in celebration at the family being made whole again. Maude had not been in our thoughts during that first rescue weekend. For the decade before Katrina arrived we had been a tightly knit pack of four. Chris and Charles and Harry and Maya. We were a unit and not much inclined to upset the status quo. But I have learned that the status quo is a fantasy, no matter how much we might wish to freeze our life in certain moments. And now I am drawn to change through conscious choice, for the present is always beyond our control. It is only the future we can seek to influence. And so, when I came across Maude, wide-eyed with terror as she looked up at me through the bars of that crate, it was instantly obvious that the status quo had just left the building. Chris walked over and stood beside me. “I think she really needs our help,” I said gently. Chris nodded and all of our lives changed forever. In the first few days at PAWS, Maude was almost rigid with fear. The first signs of life came when I fed her peanut butter from a jar, her little white beard becoming sticky in her attempts to navigate the spoon while keeping as far away from me as possible. One day she was startled by a sound and leapt off the desk I had been working on and landed with a thud. I scooped her up, terrified I had broken her. But as the PAWS vet looked her over I felt her lean against me for the first time. It was not yet trust. But it was a building block towards it. And that was good enough for now. Success should rarely be measured by perfection. Success should be measured by progress and then built upon with intent. The test was whether Harry and Maya would accept her. That night, we brought her home for the first time. From the instant she arrived, Harry became her big brother and Maude his little sister. A few days later I took this picture. For Harry, that spot by the front door allowed him to make sure we were protected. For Maude, it was the safest of places from which to explore her curiosity of the world. As we got to know her we realized that this tension between wanderlust and a yearning for safety, was central to who she was. In fact, Maude was a walking contradiction of opposing forces. Slowly, we came to understand that for her the cost of overcoming one brought enormous reward in another. The fear that held her back from every stranger meant that her love, when given, was as precious as any breath. The car-sickness that gripped her on any trip of more than ten minutes made her joy on the walks or swims that followed a spectacle worthy of Barnum or Bailey or both. Without obstacles there is no achievement. Without tension no progress is sustainable. That constant tension made Maude the member of our family that every visitor sought to woo. Hundreds of hours were spent coaxing her towards outstretched hands. But only when backs were turned would she come over and decide if she was ready to let you in. We are blessed that she spent nine years with us. 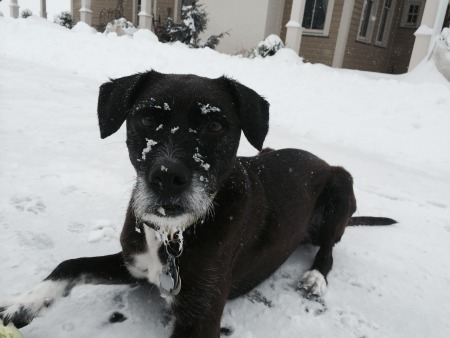 That she knew the joy of dog beach in Chicago and the snowy winters in Millbrook. That her name is forever etched in an adoption room at PAWS. She was a friend to every dog we came across. She was a sun worshipper, and a grass roller and a lover of being chased and of tearaway, joy-unlimited puppy crazies. Happy and vibrant last Thursday morning. In emergency surgery Friday night. And after initially seeming to survive, she suddenly collapsed on Saturday evening and died in the car as I raced her back to the ER. A week before, I had kneeled down to say good night to her, suddenly struck by the privilege it was to have her welcome my attention, to turn her tummy up to my touch, to paw me for more. To be her Dad. And when my own journey here is done, no matter what else I may accomplish, there will be nothing of which I am so proud but that I earned her trust and warranted her love. In Maude’s lifetime she said not one word. The definition of speak softly. But she carried the biggest of sticks. Love. Hard earned and then unrelenting. We will know it is heaven when we see her again. For the leader of a company powered by creativity, the difficulties of navigating today’s complex marketplaces are compounded by the fact that, in every decision, two forces are loudly asserting their dominance. Creativity and Profitability. A fractious relationship at the best of times. Leading a company that must, by definition, exist in a constant state of dispute provides enough challenges to fill a book. But in my work as a coach and confidant to some of the world’s best, I have come to recognize that exceptional leaders unlock the power of ‘Profitable Creativity’ by developing four benevolent weapons. Context is the most under-appreciated asset of business leadership because without it, every decision becomes a guess. But context requires you have the full picture. Which is why, well disguised guesswork is what passes for strategic decision making in many of today’s creative businesses. Many creative companies know what they do, but not where’re they’re trying to get to. They’re on a journey, but without a clear destination. Talented people want to make progress. Establish context and you can show them that they are. Guess, and you lose not only your own bearings, but their loyalty. Context gives us the ability to Say No With Confidence. Great leaders are not necessarily braver leaders. They’re just better informed about the consequences of their choices, which makes it easier for them to make the hard ones. The result of which is they are able to keep their companies focused. When Steve Jobs returned to Apple in 1997 as its CEO, he began saying ‘no’ to virtually every request by Apple’s developers. He understood that saying ‘yes’ was a distraction from where he knew he needed to take the company, and having context gave him the confidence to stand by his convictions. Many leaders fear saying no, and see it as limiting. But more often than not, it’s the right answer when you’re clear about where you’re headed and are in a hurry to get there. Context requires that you Build From The Future Back. Once you know where you’re headed, the decision whether to turn left or right at any given fork becomes increasingly clear. When Reed Hastings and his partners formed Netflix in 1999, they designed the business they wanted to be in 2008, then waited nine years for the internet to catch up with their vision. Their willingness to explicitly define the future helped them attract talent interested in solving previously unimagined problems, and gave them the focus to avoid the distractions of an increasingly desperate competitor called Blockbuster. Context is only relevant if it’s based on current information. Because the world is changing in real-time, exceptional leaders actively Welcome Disruptive Thinking. Exceptional leaders instill their organizations with a constant thirst for knowledge and use it to test their own thinking. They marry this with setting a high bar for changing their mind. But when the evidence suggests they should, they do. Most leaders have an instinctive definition of good and bad, of right and wrong, and rely on those instincts in every situation. But exceptional leaders take time to define those values explicitly. First for themselves, and then for others. This ensures a constant point of reference for everyone, including the leader. When talented people understand what is expected, they will usually take up the cause alongside you and apply their own talents to the challenge, secure in the knowledge that they understand the rules, and where to bend them. And you’ll have clear metrics by which to judge their contribution - and their chemistry with the organization. Clearly defined values allow you to avoid the most misunderstood aspect of building a compelling business - Over-Valuing Company Culture. In most cases when you hear a company espousing its culture, it’s inadvertently making an argument for the status quo. But culture is made up of both positive and negative attributes, and when culture becomes the sole reference both good and bad go along for the ride. As organizations grow, they need to adapt and evolve while maintaining their center. Culture creates boundaries. Values provide foundations. The former restrict. The latter empower. Exceptional leaders establish explicit company values. And they also incorporate their values into a clearly defined Personal Brand. This gives them a compass by which to navigate the daily demands of managing organized chaos. A personal brand is more than the simplistic equation used by many: ‘company name + personal title’. When that relationship ends, the leader is only known for where they worked, not what they believed. An authentic personal brand is built on clearly articulated ‘planks’ - a series of distinctive beliefs that form an intentioned and cohesive macro-view. And the self-confidence it reflects attracts talented people as much as any bonus. The discipline of a clearly defined personal brand also helps to overcome the habit many leaders succumb to when asked a question - the urge to be endlessly original. If you’re saying something different every time someone asks you a question, at best you’re confusing them, at worst you’re alienating them. Values get eroded, or worse, distorted if left unattended. Maintaining them requires leaders that Address Issues Quickly. Nothing undermines values like waiting weeks or months to correct a problem. And nothing undermines creative and emotional enthusiasm like a series of inconsistently applied standards . Exceptional leaders are willing to have courageous conversations. And maintain clear standards through honest, decisive leadership. A recent poll showed that 47% of executives in creative businesses would prefer working at a new company. We live in a socially connected age. Our nose for disingenuous, deceptive behavior has never been more sensitive. In that environment, establishing trust is not simply a choice but a requirement if you want to keep the best people and have them do their most courageous work. A lot of leaders make the mistake of adding talent to an organizational structure incapable of taking advantage of new skills. In today’s multi-channel, consumer-driven landscape, successful companies are built by leaders who Embed Collaboration into their organizational DNA. This ensures the company is designed to integrate disparate talents and built to perform under pressure. Dana Anderson of Mondelez describes trust as the foundation of collaboration, and explains that collaboration is a rare commodity in organizations where idea ownership is valued over progress. Exceptional leaders use trust to break down personal ownership of an idea, while promoting public debate and shared exploration instead. In the case of Mono, one of the industry’s rapidly emerging creative forces, its office is built around a central wall which acts as a public workspace. The wall establishes trust through transparency, and makes collaboration not just a philosophical initiative but a physical inevitability. The fuel of trust is Transparency. Exceptional leaders define it. It doesn’t mean telling all people, all things. It means being open about what you can reveal, and being open about what you can’t. And it means that when you’re not sure, you lean on the first part of that equation. When your best people know that you’re there for them, they tend to give you the benefit of the doubt. The key is to Provide Accessibility. Reed Hastings doesn’t have an office. He moves around Netflix’ headquarters meeting with people at spare tables. When he does need a quiet space, he uses his watchtower, a room-size glass square built on the roof of Netflix’s main building. Whether you follow this virtual leadership approach, or base yourself in the corner office, walking the floor regularly and keeping the door open, both physically and emotionally, is crucial to building and maintaining trusting relationships. In today’s business environment, momentum is essential fuel. It takes enormous effort to create motion from a standing start, and it is much easier to change direction if you’re already moving. The most dynamic leaders make decisions fast and move on. Innovation is the consequence of exploration. And you can’t explore while standing still. If you create a one percent improvement in one area of your business today, and tomorrow do the same thing, seventy days from now that capability will be twice as good. This is known as the ability to Aggregate Marginal Gains. In 2009, a man named Dave Brailsford presented a plan to the British government to build a cycling team capable of producing Britain’s first ever winner of the Tour de France. He thought it would take four years. His plan was based on an approach he described as, “aggregating marginal gains - how small improvements can have a huge impact to the overall performance of the team.” Sir Dave, as he is now known, broke down the individual elements of a world-class cycling team and focused on improving each component piece by one percent. And his plan, which resulted in Sir Bradley Wiggins becoming the first British winner of the Tour de France, did not take four years. It took three. Momentum is blocked when the criteria by which decisions are made are set too high. Exceptional leaders Measure Decisions Against Success, Not Perfection. Not only does this engage their staff and create progress - a meaningful reward for talented people - it also creates a better work-life balance in the process. Companies die in the quest for perfection. In the meantime the organization loses the benefit of the learning that any decision provides. Great leaders stack decisions on top of each other and evaluate progress against the destination, course correcting as they go. Nothing undermines the effort and emotional investment of talented people more than allowing other members of the team to consistently under-perform. Exceptional leaders are willing to support a policy of Firing Fast, knowing that only by supporting the highest standards can they maintain the morale of talented people - and the company’s momentum. A recent BusinessWeek article highlighted the fact that on a typical weeknight in North America, Netflix is responsible for almost a third of the internet’s downstream traffic. That requires immense infrastructure and engineering talent, one of the most sought after talent pools in the modern world. The temptation for most leaders is to cling to scarce talent like a life raft, indulging under-performers based on their expertise not their performance. Netflix takes the opposite view, encouraging managers to provide fired employees with industry-leading severance packages, thereby removing managers’ guilt and raising standards. Four weapons that will give you immediate competitive advantage on the road to ‘Profitable Creativity’. Many creative businesses limit their talent recruitment and retention strategies to money and flattery. But companies adept at unlocking what we describe as ‘Profitable Creativity’ are built on more sustainable practices. Many of these, I learned first-hand over a decade building a company filled with demanding, world-class talent. In that time, we lost not one of our artists to a competitor. The others I’ve experienced in my work as a confidant to some of the world’s most successful Chief Creative Officers and company owners. In all, there are eight. And seven come with the added benefit that they cost nothing to implement. Build An Evangelical Business. Creative people yearn to make one thing more than any other. A difference. They want to solve problems they believe are important. Ten years ago, Netflix and Blockbuster were in the same business. The difference lay in their respective visions of the future of movie rentals. Internet-supplied delivery at your convenience? Or rainy Thursday nights staring at an empty shelf in a store? Which set of problems would you rather solve? Nothing attracts creative people like a clearly defined vision of a better future. And the opportunity to be part of making it come true. Avoid The Deflationary Value of Money. In Dan Pink’s excellent book, Drive, he explains that many creative people are in fact de-motivated by money. In some cases it makes them perform worse, because when a task becomes ‘work’, creative people tend to feel restricted. As a manager, focus whenever you can on highlighting the intrinsic value of solving a client’s problem. And when your company decides it must ‘do it for the money’ - an economic reality in virtually every business - be mindful of the impact this has on your most creative people. Pay Fairly. There is a time to spend money. Paying ‘below the market’ shatters trust. Many companies ignore this truth, under-paying early on when the company can - then over-paying later, in order to keep talent locked in place. This builds suspicion and destroys loyalty. Instead be relentlessly pro-active in maintaining market-parity compensation, with bonuses for extraordinary results. Desperate competitors may still try to over-pay to hire away your best people. But loyalty to you will drive the price even higher. And if occasionally your competitors succeed, they will do so only by damaging their own margins. Measure Progress.At Rosetta, one of the industry’s fastest growing interactive agencies, the rigor of the employee review program stands in stark contrast to most creative businesses. Employees are measured on a set of four published benchmarks that encourage both personal initiative and collaboration. The system is transparent and consistent. At the end of the year, everyone is evaluated and rated against their own peer group at their own level. This ensures that every employee has a clear understanding of how much progress they have made. According to a recent Harvard Business Review study, nothing matters more to talented people. Engineer Engagement. Gallup Organization research has shown that most people become less engaged with an organization over time. Nothing dilutes loyalty more than a company’s willingness to support under-performers. Be relentless about improving or firing the weakest links and raising standards and expectations. It attracts and unlocks greatness. Invest in Individuality. Google attributes their growth to the investment they have made in requiring twenty percent of their engineer’s time be used for anything the engineer wants, so long as it makes Google a better company. Gmail, for instance, was the invention of one person in one day. Creative companies that charge by the hour can’t match this level of investment. But when you decide to invest zero in the possibility that your talent can create value in unpredictable ways, it suggests you think they are not capable of doing so. Be Open. Be Honest. Transparency is essential to attracting and retaining great talent. We define transparency as this: telling what you can, and explaining what you can’t. Sharing openly encourages your people to give you the benefit of the doubt. Critical to building loyalty. Say Thank You. The artist in all of us needs to be recognized. So does the human being. And yet most companies are slow to praise or even to thank. Which is strange since each of us makes a choice every day about where we work. It need not, after all, be here. Saying thank you at the end of every day has always seemed to me to be a small acknowledgement that you take neither their talent nor their choice for granted. Individually, each of these practices will make an organization more empathetic. Essential fuel for unlocking Profitable Creativity. Collectively, they will make your company irresistible to talented people. And invaluable to your customers. They do require investment. Mostly of time and humanity. But the ROI will exceed any expectation you think is reasonable. And most you would believe are unrealistic. Try one today. And let us know how it works. The Cannes Advertising Festival takes place next week. According to the press and the list of registered delegates, more advertisers than ever before are attending. More proof of an industry in flux. The fact is that an industry that depends on originality for its success has been fearful for too long of change. Fear is creative kryptonite. It makes powerful creative businesses wilt under problems that they would quickly solve if they belonged to someone else. For the next week, Cannes provides the creative industries with a lead box. One formed by a combination of conversation, exploration, exhortation, celebration and a good deal of rosé. And for a few days the absence of fear will remove the fog, clear the air and open a horizon of possibilities. That the way forward is not barred by economics or by rules or by others. We need only a destination that is important to us and the means by which to get there. Which makes it a practical journey. A journey guided by Purpose and powered by known practices. It is an intersection that offers endless choices for where you take your business. Picking the right one should not be based on hope. Or a guess. It should be based on a map. 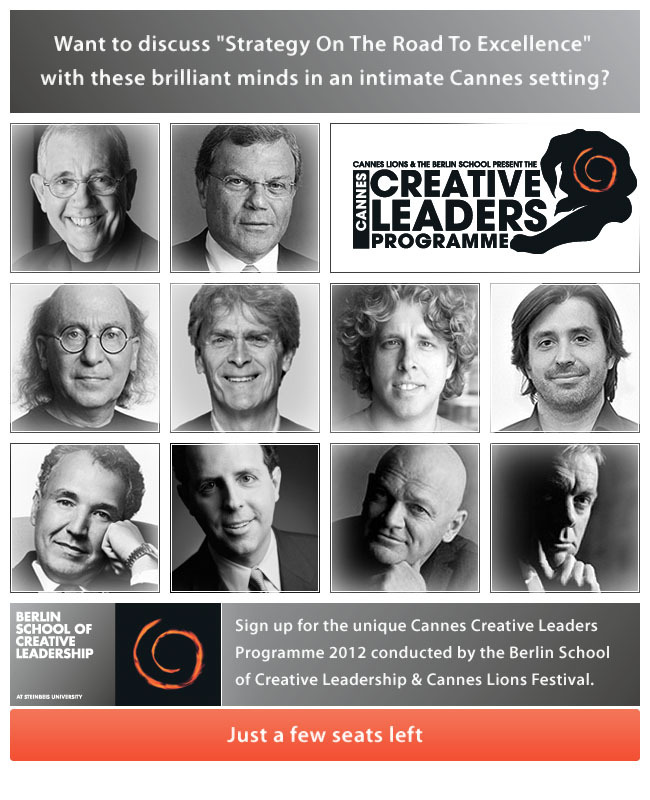 If you're going to be in Cannes for the advertising festival this year, I hope you'll try to make it to the Creative Leaders Programme sponsored by the outstanding Berlin School of Creative Leadership. I'll be joining Keith Reinhard, Sir Martin Sorrell, Sir John Hegarty and a host of industry leaders in discussing "Strategy On The Road To Excellence". My focus will be on discussing 'the art of building a world-class creative company' and I'll be blogging before and after about some of the key insights of the week. In my work as a Leadership Confidant with some of the most influential Chief Executives around, I often get asked to describe the characteristics I see most often in the very best leaders. I have come to realize there are four that must be present. 1. Unrelenting Standards. When Steve Jobs returned to Apple in 1997 he was a fantastic example of this. He knew that the company was inconsistent and lacking in rigor. So he started saying no to anything that didn’t meet his standards. For a company founded on innovation, it was a shock to the culture to find the CEO unwilling to compromise. But slowly, his standards became the company’s standards, and the history of extraordinary innovation that followed proved he was absolutely right. 2. Being Respected Before Being Liked. Too many leaders want to be liked and are unwilling to say no even when they understand that what’s required for excellence isn’t being done. Inadvertently they’re saying, ‘I’d rather lower my standards than risk upsetting you.’ You can’t build long-term success like that. Great leaders work to build respect through clear, empathetic, ethical leadership that places the future of the business as the focal point of each decision. 3. One Eye on Today. One Eye on the Future. The ability to employ split vision is one that not every great leader is born with. But it is one that can be learned, and then reinforced with well designed practices and strong organization. Clear reporting structures and systems, a well-constructed board of advisors that are encouraged to challenge the status quo, and a strong senior leadership team all play a role in allowing the CEO to keep their focus on the needs of today and the challenges of tomorrow. 4. A Clearly Defined Company Vision. This is not always the responsibility of the CEO to develop but it is their responsibility to maintain and constantly refocus to ensure its enduring relevance. In this fast moving world in which we live, understanding where your business is headed and how you’re going to get there are critical elements of the map by which any CEO guides the business forward. Only then can they know if the have the right people in place to make the journey successfully. Not every CEO possesses these characteristics when they take the job. The great ones are those who develop them quickly, and then use them as the platform to build extraordinary businesses. What Will Make Your Business Valuable in 2017? The leaders of most creative companies are unnecessarily hesitant to apply their best skills to their business. Instead, they hold on to the known and the certain, thereby failing to push the envelope far enough or fast enough on new problems their company could solve. This eventually turns competitive advantage into a parity product. 75% of Apple's revenue comes from the iPhone and iPad. Five years ago, neither of them existed. Or put another way, what got you here won't get you there. The choices we make in life that really count are rarely the big ones that seem like they will define our existence, but the small ones that actually do. Fifteen years ago, we adopted a second dog to share our life with Harry. We went over to the Anti-Cruelty Society in Chicago and Chris guided us past the puppies and the happy-to-see-you dogs, to a cage with no obvious occupant. Huddled at the rear of the cage, with her back to the world, was a little black dog with no interest or hope. She was to be euthanized tomorrow. We brought her home and Chris named her Maya. Maya snapped at Harry for three days whenever he came close to us or her, no matter how much he tried to get her to play, no matter how gentle his approach. Given that he’d already been master of the house for over two years, this seemed a little short-sighted on her part. It was, we discovered, also completely out of character. On the third night, as we were getting into bed, we suddenly heard a different sound. Glancing over the foot of the bed, we found the two of them playing, dancing on their hind legs to silent music, three days of Harry’s charm and persistence being enough to sweep any girl off her feet. From that moment, until Harry died three years ago today, she was Robin to his Batman. Bonnie to his Clyde. When we went out of town, which was a lot, the two of them went to stay with Valerie at her pet service. He took care of her and she loved him. A perfect match. Five thousand, five hundred and five days later we said goodbye to a soul that is as kind and loving and loyal and open hearted as any I have ever met. For the first eight years of our guardianship of her, she spent long days at the office, as excited each morning and night to jump in the car as if this was her first ride. For the first fourteen years, she rounded us up whenever we came in any door, careful to make sure everyone was safely inside before she settled back on her bed. And her intense love of food stayed with her til the very, very end. She ate every meal as thought it were her last. Including her last. She was happiest being in the background, partially because she was resolutely independent. And partially because this allowed her to quietly wander off to satisfy her curious love of eating paper and fabric. If we failed in any way, it was in not insisting that her digestive system be examined posthumously to understand how a 35 pound dog could consume 6 linear feet of curtain fabric and pass it two days later without distress. But of all the things I loved her for, I am most grateful for her grace and willingness to accept Maud, and Fred and Summer as we added them to the family that for eight years had been her and Harry’s private domain. It would have been easy for her to decide she’d waited for our undivided attention for eight long years and to reject the interlopers out of hand. But each year as we added another, she looked at us quizzically for a few minutes then went about showing them the ropes. It was not until the last nine months or so that Maya needed or wanted any special attention. But as Altzheimer’s took hold of her neurological functions, and old age took hold of her leg muscles, we spent more and more time helping her around the house. Over the last few months she has needed full time hospice care, and we have been grateful that when we have had to travel, we had Melanie Michon to help us give it to her. For though held in the body of a dog, this was a life force of rare certainty and commitment. An energy source of relentless determination to live life on her terms, and to bring it to an end on a timetable of her making. And when she told us she was ready, we were lucky to have a vet as sensitive as Jerry Scheck to come to our house and help us heed her wishes, gently and peacefully, surrounded by her family and in my arms. Listening, really listening, is borderline impossible in this whirlwind world, the sound of life rushing by like the wind in the trees on a storm-filled day. And there have been many days over the last few weeks when we thought it was time. But each time we pulled back, because though her body was frail, her will and determination to be here were not. And in those final weeks Maya taught me that listening to someone means filtering that noise to hear what they want, not what you think they should want. It was the last of her many lessons. That your life can change in an instant. That patience will overcome fear. That life is a joy-ride every day. That the world is as big as you make it. And she taught me that love comes in small, furry black packages. Today, the world is a little darker than it was yesterday. And heaven is a little lighter. Our dear sweet Maya Paya. We thank you for every thing, from the bottom of our broken hearts. And we know that once again you are dancing with Harry. Ten years ago, it was easier for Sony to become Apple than for Apple. Ten years ago, it was easier for Blockbuster to become Netflix than for Netflix. Ten years ago, it was easier for Kodak to become Facebook than for Facebook. These companies didn't try to become what they are today. Shadows of their former selves. And in the case of Blockbuster and Kodak, bankrupt. They just didn't try hard enough not to. Greatness is not about your potential. Or your intentions. Or your carefully written strategy. And every decision you make, and every one you don't, moves you closer or further away from your dreams. If you want to be great, know where you're headed and act with purpose. If your goal is just to stay competitive, plan for the probability that you soon won't be. And I should not have written it. Because we should not be here. In fact, we should not exist. And the odds that we do exist are so impossibly small that we can not conceive of a number that infinite. Smaller than a step in a walk to the far side of the universe. Smaller than a single grain in a world full of sand. It would take the change of but one mundane act since the beginning of time for either you or I to have never been born. A chance introduction. A door left open. A letter lost in the mail. A train that left on time. Or didn’t. A sliding door. A moment’s hesitation. A glance, a nod, a wink. Any one. But we are here. And by any definition, mathematical or mystical, we are miracles. Whether we exist for a day, or a hundred years, or less than ten, we are miracles. Which suddenly makes what we do today a decision of some consequence. I have known Madonna Badger since 2008. First as a client, and then as a friend. And I have met her husband Matt briefly a few times. Yesterday, Chris and I attended the funeral of their three daughters: Lily, Sarah and Grace. I can say I have never heard anything of which I was more certain than that. Those five people were her life. She was limitlessly committed to them, her life revolved around them. She would have died for them. For any one of them. We went to the funeral yesterday, pre-judging her by the expectations we would have of ourselves in those same circumstances. That simply to breathe would no longer be possible. That existence itself would be more than we could bear. We expected to find a broken woman. Instead we found a woman whose strength filled a church of well over a thousand people, and who left me with a personal reference point that is unshakeable. That life is an opportunity. A chance. An unimaginable gift. And we should treat it that way. Every day. In the way that little girls do. Exploring, trying, learning, loving, playing, living. Because when the last of these is suddenly taken from us, what will be left is what we did. Not what we meant to do. Not what we intended to do. Not what we thought about doing. Lily, Sarah and Grace were prevented from doing more. But what they did was life-changing. For their mother, who will be their mother forever, and will use their power to change the world. And for any of us who use their memory as fuel to fight against assumption. That tomorrow is the same as today. We should not be here. We should not exist. It is impossible that we do. I have included the text of Madonna’s eulogy below. That she was able to give it in person, is the bravest act I have ever seen. I want to talk to you about my girls, my three little girls Lily, Sarah, and Grace Badger, and this is going to be really hard. Lily Grace and Sarah are not here with us today and they won’t be here tomorrow and I am trying to come to terms with this and I know that Matthew is and I know that all of us are. But I feel very strongly and the reason why I wanted to speak to you today is to let you know who my girls were and that our girls, my little girls are not gone from us entirely because my girls are in my heart they’re right here and this is where they live now and they live in Matthew’s heart and they live in the hearts' of all of you who knew them and even those who didn’t know them. And I want you to remember my girls out loud to fight for them to never be forgotten. This is why I can stand before you today because they were my little girls and they were my little girl tribe and I want you to hear about them from me. So I’m going to tell you just the tiniest of snippets, little stories that are the smallest of drops in a ocean of memories, because there were Christmases and Easters and Thanksgivings and so many days of just being a girl tribe together, and dancing and singing and playing and loving one another. My Lily. Lily was my angel and my life and she was my first baby, and when Lily was first born I would put her in my baby Bjorn and we would walk around New York City for hours, with diapers in my pocket and my breasts full of milk and it was all we needed. And we’d walk the city. Lily sang before she spoke and she made-up songs constantly. She made-up elaborate games with her Nana and all of the little animals that she loved to play with, and these animals all had names, and they all lived in very special kingdoms. Lily loved her Ricky and her Mister Wiggles and Lily loved her Jessica so very much. And most of all Lily loved her sisters. They were her best friends and she celebrated all of their unique qualities, and she never changed them and she never harmed them and she always gave them love. Lily was naturally shy and her smile was sometimes hidden, but when she let her smile show it glowed completely. And Lily was a dancer, a natural born dancer and when Lily danced it was with moves that far outdid Michael Jackson. Lily was calm and confident and full of who Lily was. When she was first met you she wasn’t sure about you, but once she determined that you were okay, you were one hundred percent in with Lily forever. When Lily and I went to the Met and we saw all the Pietàs because apparently I had made a wrong turn and all the Pietàs were right there, but anyway when she saw the Pietàs at the Met when she was only 5, Lily broke down on the floor and she begged me to tell her when she was going to die. And I told her after a lot of not knowing what to say, that life is a mystery, it’s a total mystery, and we will never know when we will die. And she accepted that. And I did too. Sarah had a very, very fragile heart and it was hidden behind a lot of love and lot of smiles and the smallest slight would cost such deep deep damage that I swear you could see the tear right there in her heart. And Doctor Solar said that Sarah was the mayor of Windward, their school. And she knew the names of all of their brothers and all of their sisters, and recently they had to call a special meeting at Windward, Dr. Schwab had to call a meeting with the second grade girls so they could figure out a way of how they were going to take turns being close to Sarah. This was my Sarah, my little Sarah, my little whipper snapper, love and lovable and totally loved. Sarah and Grace had a special language and a special bond. For instance they called one another ‘RaRa’ when they were little toddlers and it was the name that they had given one another because it was the ‘Ra’ in both of their names that was only thing that was the same. And it took us a long time to really know if they knew the difference between which one was Grace and which was Sarah. Grace loved math and she would do problems that were like 10 numbers long and she would add them and subtract them. And then she would make us all check her work, and she was so proud of what she could accomplish with her numbers. Grace was a fisherman, an adventure and an inventor and her imagination was boundless. And there was nothing Grace Badger couldn’t make with a Band Aid. Band Aids were balls and they were wrapping paper and they were everything. Nobody loved Band Aids more than Grace Badger. And Gracie wanted to know everything. She wanted a microscope and a telescope and I think she wanted to see the seen and the unseen. And she could have cared less if you liked her or approved of her, she found her own way always and when she loved you she loved you completely. And Grace’s tender kisses were always given when she wanted to give them and her hugs were so full and so loving. But nothing will bring my babies back, or my parents, or the life I had or Matthew’s. And here’s the one thing that I know is not a mystery. That there is no power greater on this Earth than love. And that is what is going to keep Lily and Sarah and Grace with us forever. In this, in all this incomprehensible loss and chaos, all I can hang on to is that love is everything. And God, as I choose to call my higher power, is love. And so, God is love and God is everything. But here I am. Here all of us are. Because Lily and Sarah and Grace live in my heart now, as do my parents, Lomer and Pauline. I was a daughter and a mother, and I still intend to be both, so I can make my girls proud and carry them forward in love. This love, I am realizing, is to be my children’s legacies because they left the world at such tender ages that all they left behind was love. And I think and I pray and I hope that it is all of our great responsibility to spread that love. And for me, God does not call on us just to love because that is too easy. He also calls on us to be of service. Service to our friends, our families to those we know and those we don’t. So the message I want to share today, on behalf of Lily and Sarah and Grace, is that we can talk all day long about love, but love without service is not enough. Please keep our little girls in your hearts by showing your love with acts of pure kindness, by loving each other and finding a way to help each other every day for Lily, for Sarah, and for Grace. This is what will keep them alive forever. Thank you all for coming today and for all of your words and prayers and support. They have meant the world to me, they have meant the world to my family and to Matthew.